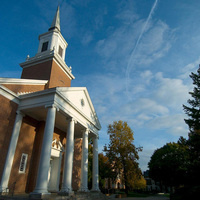 Also known as Big Baker, this large chapel hosts events and includes classrooms on the lower level. ROTC Cadets will be commissioned as Army officers. Well-presented, well-conceived, and fascinating--we got the scoop on what is potentially several articles. Didn't rain on our parade!